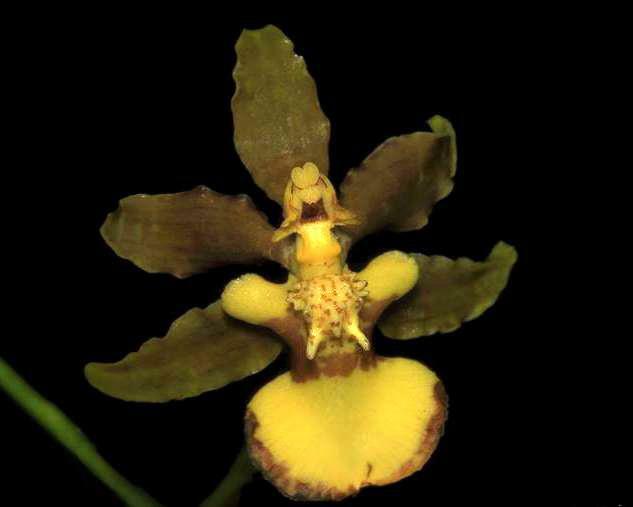 Oncidium is a genus of more than 300 species that occur throughout the neotropics and may grow as epiphytes, lithophytes and occasionally terrestrial plants. 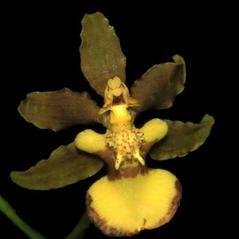 They are found in a diverse range of habitat types from tropical lowlands to montane forests and savannas. Stems are usually modified into prominent, compressed pseudobulbs with leaf-like sheaths that give rise to the inflorescence which may be a simple raceme or a branched panicle. There is much diversity in color and size of the flowers which lack a nectar spur. The common name "dancing ladies" describes the sepals and petals which are usually free and spreading.